The team of Sara Folch Interior Design Barcelona has been working close by in an interior design Marbella experience. We have been collaborating with the team of AECC Marbella to design the gala of the association for this August 2018 edition. 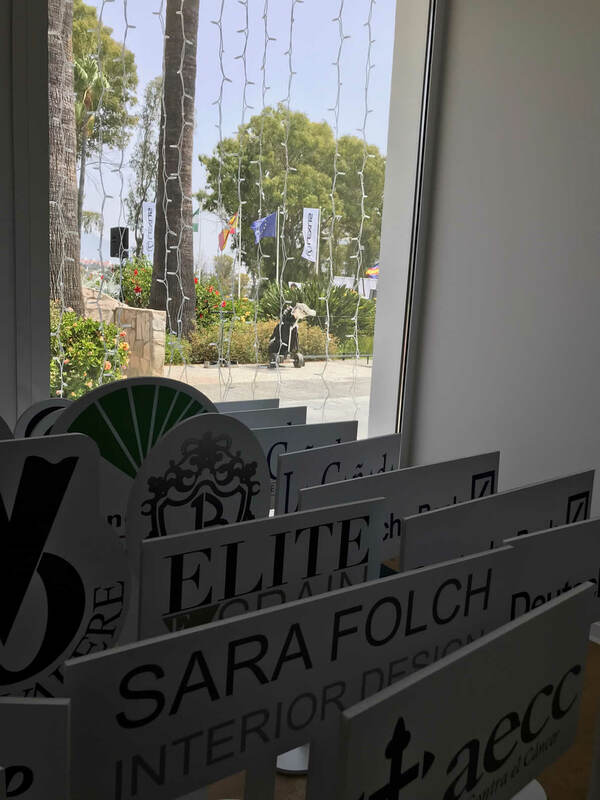 At the gala of AECC Marbella, the team of interior designers has worked close by to deliver the best interior design project on an open door area. Creating a chillout area to relax and also arranging different new artistic spaces for the gala, the designers led by Sara Folch were in charge of the event design. Working close by with the team at AECC Marbella, Sara Folch Interior Design Barcelona studio and the team, designed unique furniture to place around the gala. The collaboration comes after the welcoming from Maika Pérez de Cobas, the president of AECC Marbella. The team of Sara Folch Interior Design was really excited for the opportunity to deliver one of the best interior design projects for a benefit cause. To check more of the interior design projects of the team in Barcelona you can check the website and contact us if you need any help or are looking for an interior design event proposal.